Enregistrement Mot de passe oublie? Pourquoi s'inscrire? 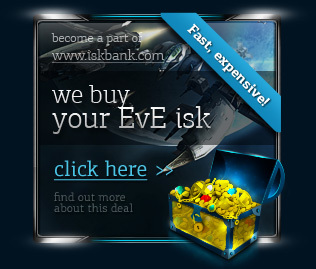 does buying space game isk (characters, ships, implants, items) for real money violate the eula? What do you do to make transactions safe and protect my account from being banned? How do you earn the ISK offered for sale? Can I sell ISK (characters, ships, implants, items) to you? I purchased ISK. What is the delivery time? How do you deliver the ISK I ordered to me? My character is too far from Jita 4 Moon 4 Caldari Navy Assembly Plant. But I need the ISK (items) as soon as possible. I received minerals from you, sold them, but I got fewer ISK than ordered. Why? Can you send ISK directly to my character's wallet? I've picked up my order with my alt character. How do I send the ISK to my main character? How do I safely send ISK to my other account? I am on a trial account. How do I receive my order? Do I have to fly to Jita 4-4 CNAP to receive the PLEX I ordered? How do you deliver a character to me? How do you deliver a capital ship to me? How do you deliver non-capital ships, implants, other items to me? I want to pay with my credit / debit card. How do I do it? Do I have to provide my credit / debit card number to pay for my order? I want to pay with PayPal. Are there any requirements to my PayPal account? How do I quickly verify my PayPal account? I cannot verify my PayPal account – what do I do? Why am I asked to send a confirmation message from my e-mail address associated with my PayPal/MoneyBookers account? I need assistance with LiqPay (Visa / M-Card). What is your refund policy? / How do I cancel my order? Do I have to sign up on your website first to place orders? What do I put in the “bonus” field on check out? Why do I have to provide my phone number in the order details? I have a proposal to you. Q. does buying space game isk (characters, ships, implants, items) for real money violate the eula? A. yes, buying any in game items for real money is a violation of the space game online eula, and may lead to sanctions from ccp (confiscation of the purchased item, negative wallet balance, ban). only purchasing time cards on the official space game-online website for real money is legal and does not violate any rules. Q. What do you do to make transactions safe and protect my account from being banned? - we have a very thorough approach to farming, and undertake all reasonable measures to minimize the chances to trace the interconnection between various farming accounts. Q. How do you earn the ISK offered for sale? A. We earn ISK/resources in many ways: by running missions, killing pirates in asteroid belts, mining, gathering lunar minerals, trading at Jita. Q. Can I sell ISK (characters, ships, implants, items) to you? A. Please see our "Sell to us" section. Q. I purchased ISK. What is the delivery time? A. the delivery time is 5 minutes up to 24 hours. we do our best to keep the delivery time as short as possible. we strive to deliver in 5 minutes after you place your order and give your order code to our live-support representatives. howspace gamer, due to the fact that we farm and do not resell, there are periods when we are out of stock. please, contact our live-support before placing your order to learn about the actual delivery time. Q. How do you deliver the ISK I ordered to me? A. We form a contract with minerals/other items at the station Jita IV Moon 4 Caldari Navy Assembly Plant. You have to accept the contract, fly to the station and sell all the items from the contract at the market at the same station. The quantity of items in the contract is calculated according to the current prices for a certain type of minerals/items on the market and current buy orders. We also always send a bit more minerals to cover the market fee. After you sell all the items, you must have the exact amount you specified in your order. If it's not so, contact our live-support! You should sell the items you receive from us immediately, as the prices on the market may change and you may receive less ISK then you ordered. You do not need any intentionally trained skills to be able to sell the items on the market and receive the ISK. And finally, sell the items you received without refining or advanced options! Unless you know what you are doing and have trained trading skills which will allow you to receive a bit more ISK. Selling the items you receive from us and receiving the ISK will not take more then 2 minutes – review our delivery guide with step-by-step screenshots here. Q. My character is too far from Jita 4 Moon 4 Caldari Navy Assembly Plant. But I need the ISK (items) as soon as possible. A. We suggest you to create an alternative character on the same account to receive the order. A detailed guide is available here. If you do not have a free slot for another character, you will have to fly with any of your existing ones to Jita 4-4 CNAP. Q. I received minerals from you, sold them, but I got fewer ISK than ordered. Why? - in 98% of cases, you received less isk because you have not sold all the items you received from us. as you have to sell the items on the market, there may be sspace gameral buy orders for the type of items you're selling. it is very often that 1 buy order does not cover the whole amount you have. so just repeat the procedure of selling until you sell all the items from the contract. - the price on the market has changed, as you did not sell the items you received from us immediately. Q. Can you send ISK directly to my character's wallet? A. no! we nspace gamer transfer isk directly, in any case. it is the least safe way to transfer isk. please, spend 2 minutes on receiving the contract and selling minerals/items – and your account will be safe. Q. I've picked up my order with my alt character. How do I send the ISK to my main character? A. click on ''people and places'' button on the top left in your space game client => tab ''people'' => set the filter to ''character'' => type the name of the character that has to receive the isk (the character has to be on your account) => right click on the character => ''give money'' => put the necessary amount => and transfer. Q. How do I safely send ISK to my other account? A. We recommend to do the same way we do – send items, not ISK to your other account, and then fly with your other account to the station the contract was issued at, and sell the items to receive ISK. Q. I am on a trial account. How do I receive my order? A. unfortunately, we do not deliver to trial accounts for safety reasons. please activate your account first through the means listed on the official space game online website. Q. Do I have to fly to Jita 4-4 CNAP to receive the PLEX I ordered? A. no, you don't, if you only need to activate the plex for yourself - you can accept the contract and activate the plex anywhere in the space. yes, you do, if you purchased sspace gameral plex-es and need to further transfer them to other characters as the plex will be available in your assets at this station. Q. How do you deliver a character to me? A. we send the character your account as it is provided by the official ccp rules. you have to provide your account name (login) in the order details. we prepare the character for transfer during 24 hours. then we start the transfer – at this stage you'll receive a confirmation message from ccp to the e-mail address associated with your space game online account – and after 10 hours of stasis period the character will be available on your account. thus, the whole procedure will take up to 34 hours. Q. How do you deliver a capital ship to me? A. A capital ship will be delivered to 1 of the low-sec systems. We will either send it through a contract, transfer it in a safespot or will use a 3rd Party Service. Please, contact our live-support and ask for an administrator or send us a message with your inquiry – depending on the type of the ship, we will send detailed information on delivery and will organize the transfer with you. Q. How do you deliver non-capital ships, implants, other items to me? A. the same way as space game isk – we will issue a contract at jita 4 moon 4 cnap. Q. I want to pay with my credit / debit card. How do I do it? A. Just choose any payment option available on our website. Absolutely each of them can process payments with credit / debit cards. As for the the ease of use (from the easiest to the most sophisticated) according to our customers' opinions – PayPal, MoneyBookers, LiqPay. Q. Do I have to provide my credit / debit card number to pay for my order? A. no! we do not use any payment option that would rspace gameal such sensitive information to us. we do not need this information to deliver your order, and we belispace game you would not like to share it either. Q. I want to pay with PayPal. Are there any requirements to my PayPal account? A. Yes, we can deliver your order only if the PayPal account you use is verified. Please, make sure it is verified before placing your order, or just use another payment option (MoneyBookers, LiqPay). Q. How do I quickly verify my PayPal account? A. Here are some tips on how to verify it quickly: Login to your PayPal account. You'll see your account status on the overview page. Click the link "Unverified" and start verification. Paypal will charge $0.01-3 USD from your card, and will add a 4-digit code in the payment notice. Call your bank operator (the phone number is on the back side of your card), tell the operator about the payment for PayPal and ask for the code in the payment notice. Or access the card balance by internet-banking, and see the payment notice. Then insert the code into the verification field in your PayPal account. Now your account is verified! *This may not work depending on your bank – your bank may not offer 24/24 support or the payment details may appear in a couple of days only with no way to make it faster – you'll find this out when you start the verification. Q. I cannot verify my PayPal account – what do I do? A. Contact our live-support, and we'll issue a refund – you'll be able to use another payment option. Q. Why am I asked to send a confirmation message from my e-mail address associated with my PayPal/MoneyBookers account? A. This is just a precautionary measure – this makes sure that you are the person who is authorized to make payments using that account, because you not only have access to the account in the payment system, but also own the email address associated with the account in the payment system. This protects us from fraud attempts and the account holder as well. Q. I need assistance with LiqPay (Visa / M-Card). A. liqpay pay is a very secure way to make payments online as it requires sspace gameral verification steps. it processes payments with your credit / debit card, and uses your cell phone number as a part of the verification process (you cannot use this payment system if you do not have a working cell phone capable to receive sms – short text messages). howspace gamer, all those verification steps may seem excessive to you and generally make this payment option a bit sophisticated. but you can get assistance with it from liqpay's official live-support 24/24 – there is a link to the live-chat on the right of any page of the liqpay website. Q. What is your refund policy? / How do I cancel my order? A. You can request a refund and cancel your order at any time – just contact our live-support, provide your order code and express your will to have your payment refunded. If you haven't received your order, you'll receive a refund in 12 hours since the moment you've contacted us with your request. Q. Do I have to sign up on your website first to place orders? A. no, you do not. you can place your orders without registration on our website. howspace gamer, if you do sign up, you'll have an accumulative discount – all your purchases will sum up, and your discount will grow. Q. Do you have any discounts? A. Yes, we do. The discount system only works on ISK purchases. If you are registered on our website, you benefit of an accumulative discount – after each purchase, the discount grows – you can check it by signing in to your account on our website. Q. What do I put in the “bonus” field on check out? A. Bonus codes add more ISK to your order. This is not a mandatory field – if you have a bonus code – put it in the form, if you do not – leave the field blank. Bonus codes are given away during promotions on our website. In case of a promotion, you will receive it to the e-mail address, you used on our website. Q. Why do I have to provide my phone number in the order details? A. In case of a big order, we will call you to confirm your order by a phone conversation. Q. What do you do with the information you collect about me? A. all the information remains within our company. we nspace gamer share your information with any other people or companies. we only collect the information which is needed to be able to identify your order and deliver it to you. Q. I have a proposal to you. A. Do not hesitate to contact us at contact@iskbank.com – we'll reply to you in no longer then 24 hours.